Share the post "BLACK EARTH Feat. 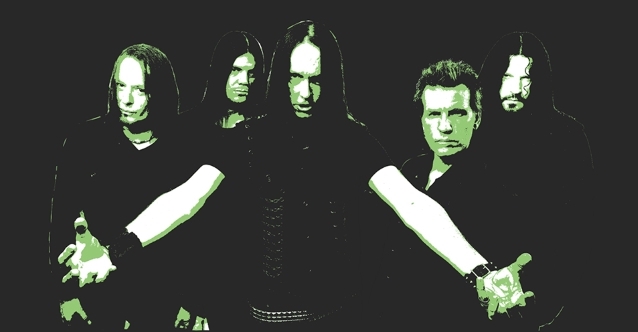 Original ARCH ENEMY Members: Two New Songs Included On ‘Path Of The Immortal’ Collection"
BLACK EARTH — the project featuring former and current members of ARCH ENEMY performing material from the latter band’s first three albums live on stage — has just released “Path Of The Immortal”, a collection of remastered tracks from those early LPs. The disc, which was made available exclusively in Japan on March 20, includes two brand new songs, “Burn On The Flame” and “Life Infernal”, which were recorded at the end of 2018 at Sweden’s Studio Fredman with producer Fredrik Nordström. ARCH ENEMY recorded three albums with Liiva: “Black Earth” (1996), “Stigmata” (1998) and “Burning Bridges” (1999). Liiva was replaced by German singer Angela Gossow as ARCH ENEMY‘s lead vocalist in 2000. Gossow exited the band in 2013 and was succeeded by former THE AGONIST frontwoman Alissa White-Gluz, while remaining as the group’s manager. BLACK EARTH completed its first Japanese tour in May 2016 and will return this coming May to celebrate the 20th anniversary of “Burning Bridges”.